Lipo laser in Sydney - non-invasive laser liposuction fat removal. Our 3 rd generation lipo laser is second to none for effective non-invasive fat removal. If you have tried lipo laser fat removal before and found it effective. Then wait to you try this power house of a machine. 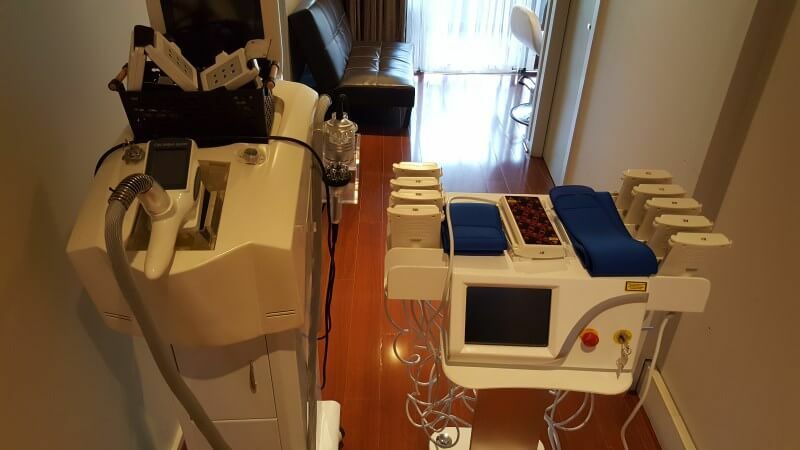 It is hard to get a grasp on how different this lipo laser machine is until you try it out. There maybe no other clinics in Sydney that have such a new, advanced and effective lipo laser machine. In the simplest terms we save you time and money, larger treatment area, more effective treatments, better results and less treatments. Removing fat cells is an ideal path to weight loss. The PZ Laser Slim is by far a more powerful lipo laser. But is it safe, yes it has a fully computer controlled automated mode. The machine comes with the appropriate CE and ISO certificates. The manufacture states "our machine is safe first, then it is effective". I tried the machine and after one twenty minute session I went for a 108cm waist to a 104cm wast. From the manufacturers manual - Independent clinical studies have shown Lipo Laser to be, in some cases, comparable to results achieved by liposuction. Ultrasound imagery shows up to 30% reduction in the fat layer depth after just one treatment. A safer more effective treatment for you at a great price, don't forget to check the specials link at the top of each page. Also see cool sculpting fat freezing Sydney and HIFU fat removal skin tightening Sydney. This is a photo of the old machine and the new machine. As you can see everything is bigger and better other than the size of the computer. If you thought our old lipo laser was good, waiting until you try this! Talk to us today about starting your lipo laser - non-invasive laser liposuction fat removal treatment today.